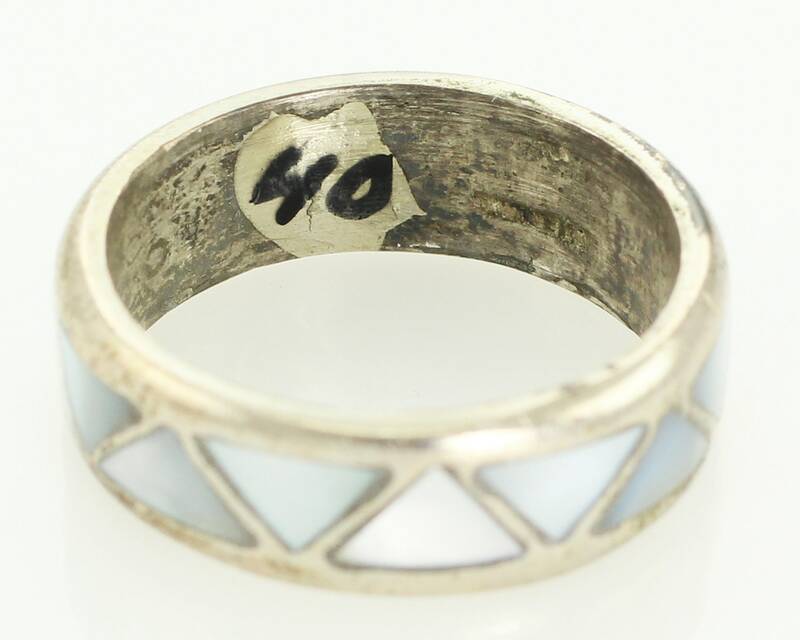 Sterling Gray Mother of Pearl Inlay Wedding Band Ring Vintage Bell Trading Post Size 8.25. 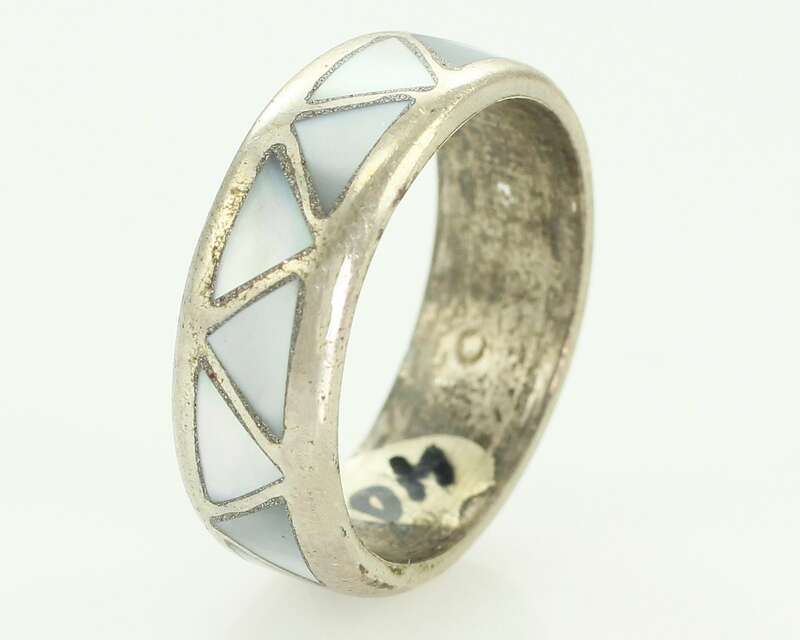 Triangles hand carved of gray mother of pearl are inlaid the full circumference of all the way around a sterling silver band. 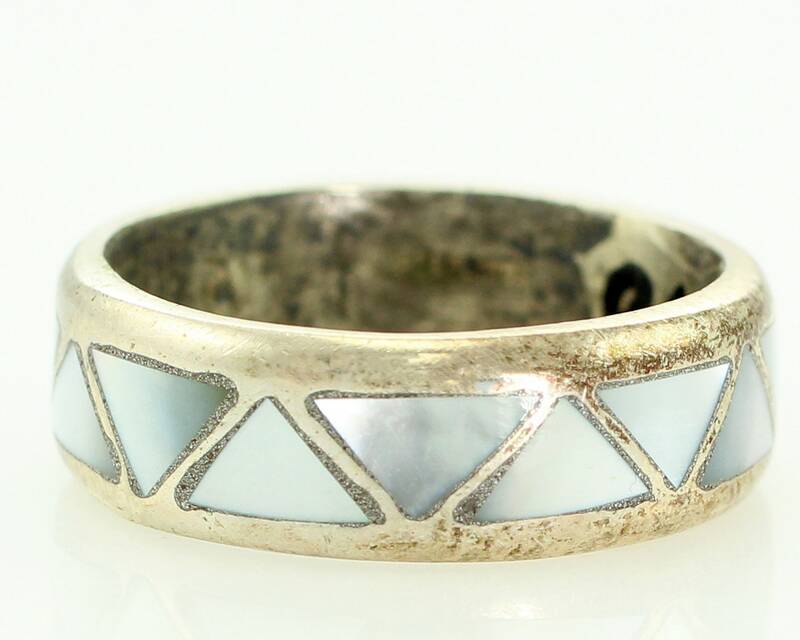 The band is 7 mm wide and is 1.8 mm thick. Made by Bell Trading Post in Albuquerque, NM. The band is stamped Sterling with the Bell Trading Post Sign hallmark on the inside. In very good, unworn vintage condition, with no damage of any sort noted. CONDITION: In very good, unworn vintage condition, with no damage noted. 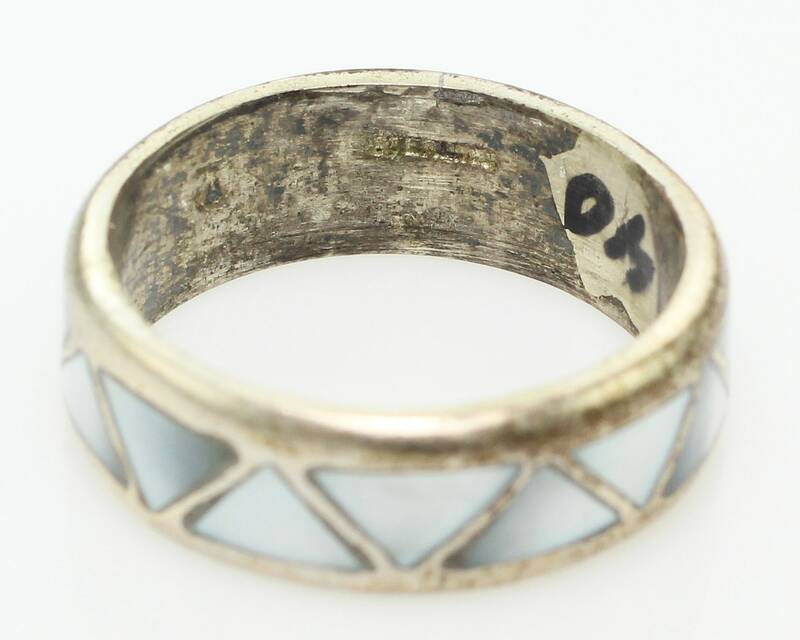 MEASUREMENTS: Ring is 7 mm wide and 1.8 mm thick.